You hit one great, then you hit one horrifically. Want to know the difference? Of course you do – Read on. A few weeks ago, I ran test. I will link to the test and the full results at the end of this article. However, as a quick summary, hitting 3 inches behind the ball lost 45 yards of distance on a 156-yard shot (and that was after throwing out the real duffed shots). I also recorded video of the swings. Do you want to see the differences between the two swings? 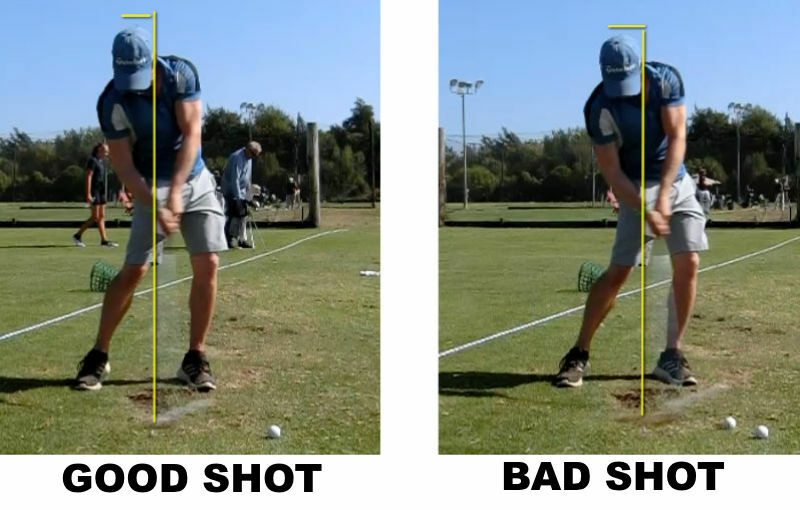 For the below pics, the pure strike was on the left, the duffed shot is on the right. The lines are references for head height and position relative to the ball. Wait, is this the same picture? Well, there is a tiny difference here – but the image capture is about 1/20th of a frame out, so it might just be that. The body seems to be in an almost identical location. The ball has long gone by this position, but there is still no difference. If we go back to the impact pic and zoom in, we can see something. Yeah, the divot started behind the ball. Want to see where 45 yards of difference comes from? Look no further. However, the body positions throughout the backswing, downswing, impact and follow through were all pretty much identical. The difference between a shot which flew 156 yards and one which flew 85 yards was negligible. If you want to check out the full video comparison, it is at the bottom of this article. 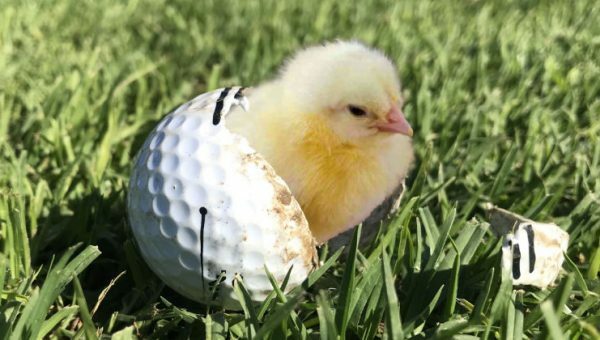 When an amateur golfer hits a poor shot, they often think (and report to me) that they have made a drastic movement change. They genuinely believe that their motion on a good shot looks like Adam Scott’s, and their poor-shots look like a mad-man wielding an axe. Truth is, in 99% of cases, their motion for good and bad shots is identical on a macro level. What The Hell is Macro? Think of macro-movements as your big-muscle, gross motor pattern. From shot to shot (good and bad), the macro movements are almost identical. What if you dropped in height by quarter of an inch, or your scapula had a fraction less retraction through impact? What if your knees flexed a couple of degrees more than usual in transition, or your lead arm straightened a few degrees more through impact? While we might never notice these things on camera, they can make a significant difference to your shot quality. All the little, subtle and unseeable movements of the many joints we have – they all create what we call the micro-movements. 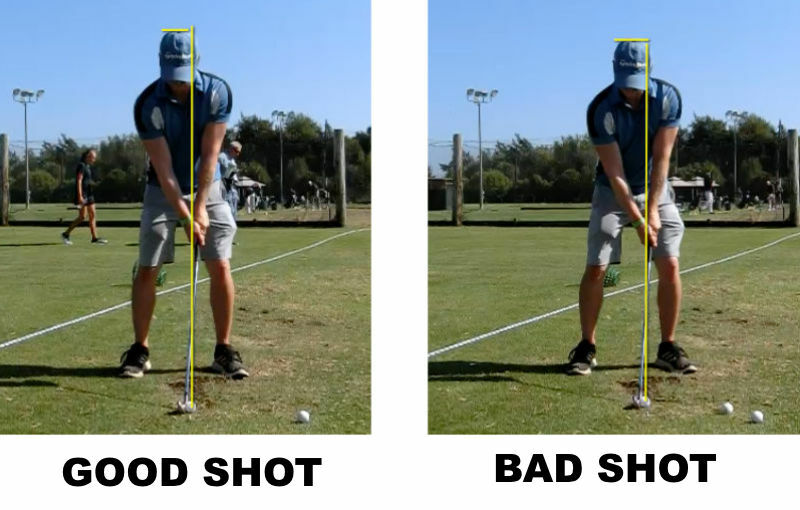 Micro-movements, fine motor movements, call them what you want – this is predominantly where the differences between your good and bad shots arise. 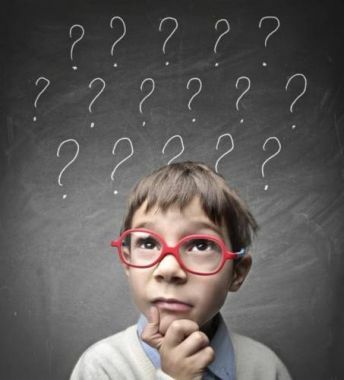 The big question on everybody’s mind is then, how do we control the micro movements? A lot of science has been done on this topic. 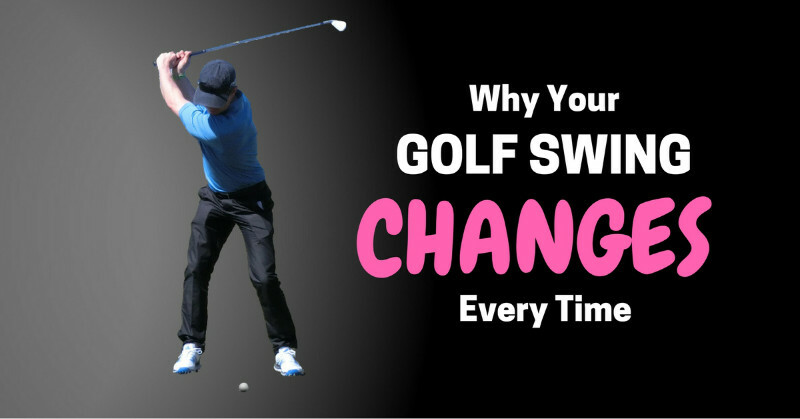 The science has shown that (in other sports too) these micro-movements change every time. That’s completely normal. 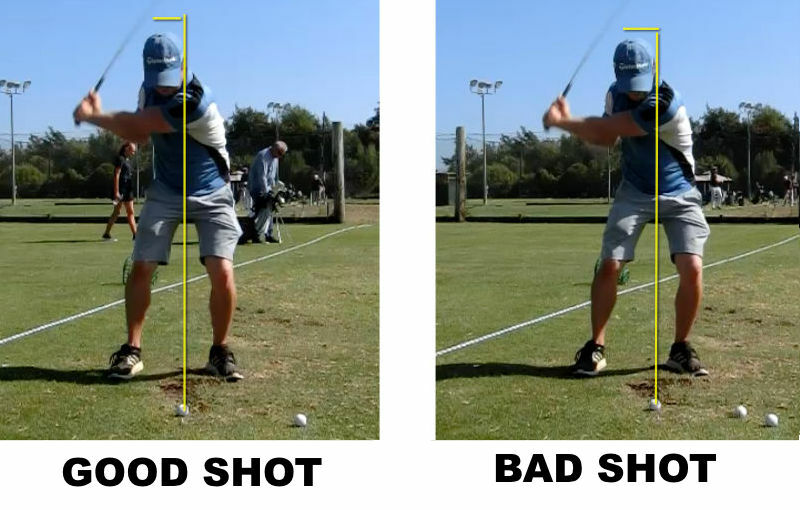 In fact, with all the moving parts in a golf swing, it’s actually inevitable. 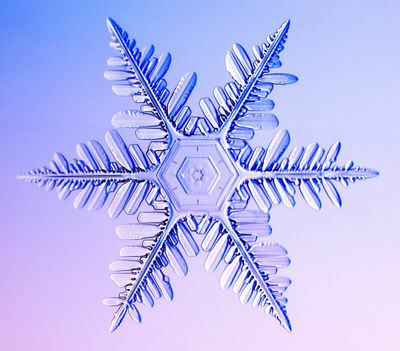 On a subtle level (and sometimes not-so-subtle), every swing you make is a snowflake. The difference between High performers and poor performers is NOT their consistency of micro-movements, but their ability to coordinate them into something that works. Also, an abundance of research from Gabriel Wulf has shown that external focuses (focuses which are outside of our body – opposed to internal focuses, which deal with body part movements) dramatically aid our brain’s ability to coordinate all these mini moves. I have taken this a step further. Speeds up the learning process incredibly. This is where I invented my skill-based approach to learning golf, which is radically different to how golf has been traditionally taught. And people around the world are seeing dramatic improvements with it. 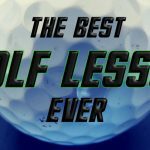 If you want to learn how to better control the micro movements (as well as improve the macro movements to make life easier) and hit more of your best shots, I have a developed a solution. I put my best drills, concepts and technique ideas into a program called The Strike Plan. These are all drills that I have seen the most success with in my 12K+ lessons – ones which have been refined and perfected over the years. If you want to find out more about this program, click the image link below for The Strike Plan. For those who thought I might have cheated and used the same video in both pics, here is the full comparison. I just received the following email from a loyal ‘fan’. 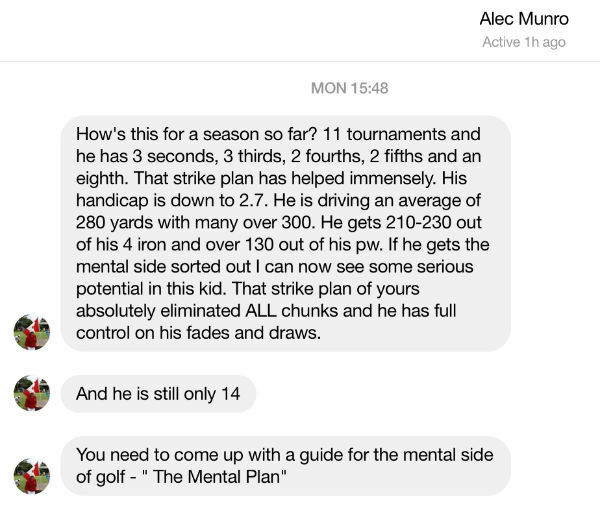 I suppose this email highlights the problem average golfers have – they don’t want to accept that this is the truth. They would rather believe that their motion had radically changed. While I thank Filippo for his email (it allows me to clarify the point further), please note the differences in the backgrounds of the two pictures. I’m good at photoshop, but I’m not good enough to delete people walking around or to move their positions in 3D. Also, just watch the video – both swings are there as clear as day. Pause them at your own will and see the (lack of) difference in the swings, and the radical differences in the background people. Brilliant exposition on this topic, very well done. Clear, concise, and complete. well done! Always insightful. Very helpful. Is listening to analyses from tv golf analysts worthwhile? Since the beginning of July this summer I’ve changed two things: changed to single length irons (5-pw) and read and practiced the strike plan. I haven’t practiced nearly as much as I should but have dropped my HC index by 2 pts and had my best two scores which are > 7 strokes better than my average. 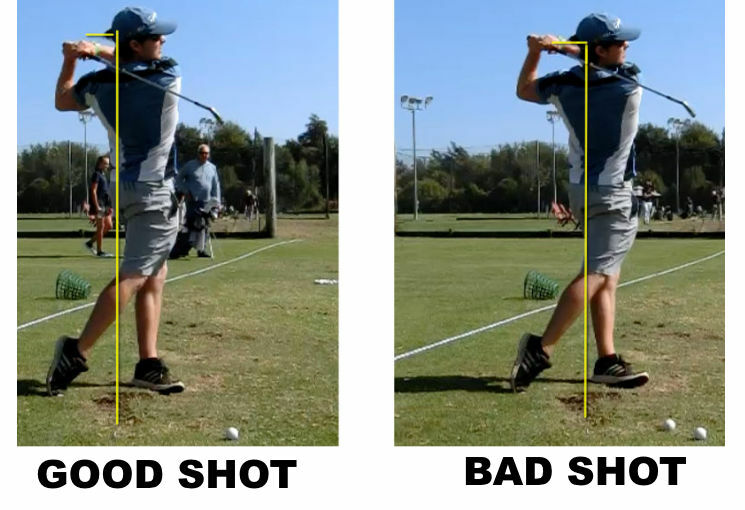 Thanks to Adam’s videos and book I now have a clear mental picture of my swing and ball strike and don’t focus on what my body is doing during my swing; instead the focus is on what the club is doing and to me the outcome is noticeably different. I know the guys I play with have noticed. Adam, I wholeheartedly agree. All one has to do is record his own swing and see that yes, your swing will look almost identical in every way, with minute, nearly imperceptible differences. Great articl!! Brilliant work on defining macro vs micro movements. Our bodies will self calibrate (self organize) to anything. Your work is really really good and well thought out. Keep up the great posts. I totally agree with your thoughts, I have been a Fully Qualified Teaching Professional for 20 years. 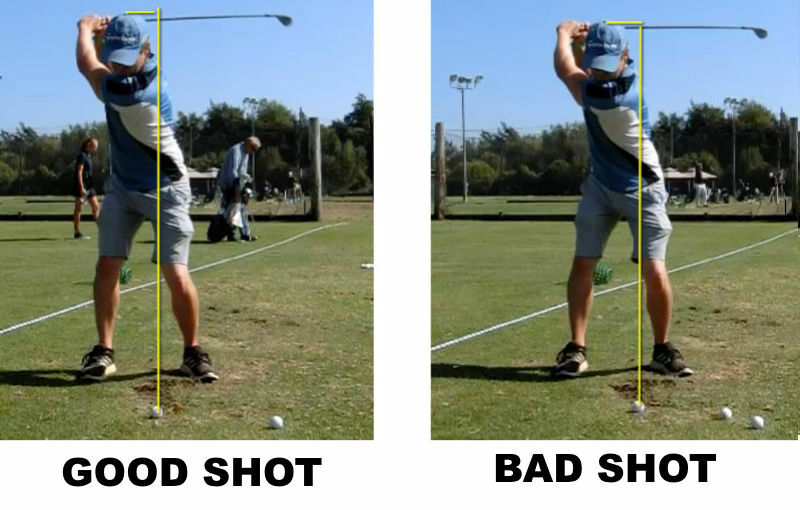 Having used video instruction for almost 20 years there is rarely any significant difference between good and bad shots. As you rightly say amateur golfers are not willing to accept this. If more people understood what we know about the improvement process substantial progress could be made. Great post again!! I also agree with you on what you say about no one golf swing being the same. I also am a qualified pro of 30 years and have been teaching on video for exactly the same amount. 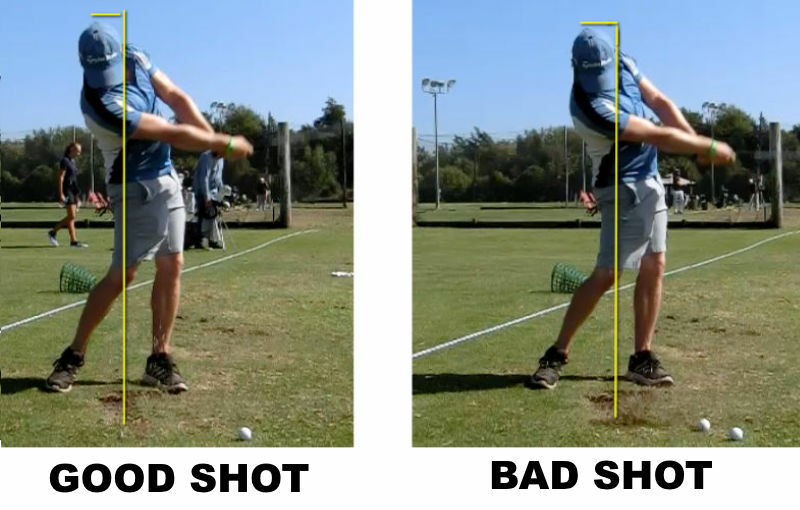 I don’t waste my time anymore allowing an amateur to hit an extra shot on video because they hit a bad shot. If they challenge me I let them hit another then load both swings together and they can never tell which was which unless there is something obvious outside of the swing that can tell them. I have not been following your posts for long, but I have seen some sensible and interesting stuff from you! I tried the line setup with spray paint and no lie it got me in a better position coming through within a hour, I was aiming at different targets and grooving it. I did try a take to golf course right after I did catch a few thin but only because I wasnt striking it. I did get up and down 6 out of 9 for par that day, I’m headed over to continue the process. I’m a 9.7 index and 50 years old. I have always had a ton of potential and one day I shot 71 in winter rolling the ball a club length every where. I realize single digit is good but I feel I hit at least four to five bad drives I miss more greens with a nine iron than most people. I’m going to keep following you and see if your the one to take me to a below five level handicap. 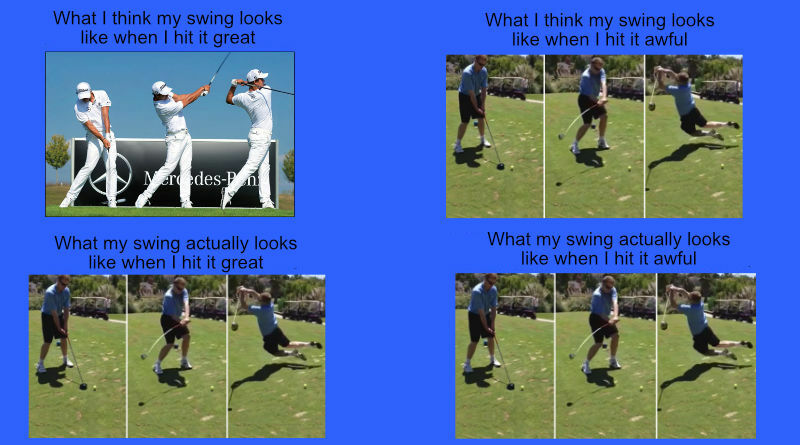 I can’t believe that I wasted so much time with recording my own swing, trying to get in the “correct positions” etc. Strick plan has changed my game. Cheers Gawie. Videoing your swing can be a valuable tool, but it was certainly overused in my era. If I use it now, it’s to show slow motions of impact, or to show a before and after, but AFTER the changes have been made. I suppose the biggest negative of video feedback is that it tends to promote an internal focus of attention – which has been shown to be detrimental to coordination. 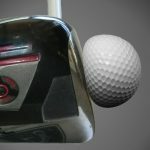 I’m not a tour striker of the ball so as a 6 handicap iv’e developed consistency by never hitting it fat with my sticks. Unfortunately this means I never really get tour spin and flight with my irons. It’s either true loft flush,slightly down which is negligible or thin. Doing this means the ball only loses 10-15 yards on bad shots because I never really hit down with a 6/7 and only do so with a wedge which i’m good at it and don’t fear big divots there. Even so I will still hit one just flub city from 100 yards about 1/40 times. Yes i’m inconsistently consistent and it works for me! What amazes though is how the pro’s manage to never really hit one chunk but maybe 1/200 times,so sure it happens,but maybe only once every 3 tournaments.Every time I try to get better by hitting ball first with the 6-7-8 I only see great results sometimes kinda odd.. I see a tour flight more distance and spin but not always. I just prefer to take a hybrid 6 or my actual 5 and pick it! I know for the most part on my course the greens will hold good enough so why bother? In fact on pure shots I usually get 2 feet of backspin and on bladey ones it rolls forward at worse 6 feet sometimes right next to the hole. Adam my wife did notice a difference in your set up position and was wondering if it might be the problem with your impact position. If you note carefully the ball is closer to your front foot (look at space difference from heel to ball) int the bad shot vs the good shot. She is a golfer and has a “good” eye.